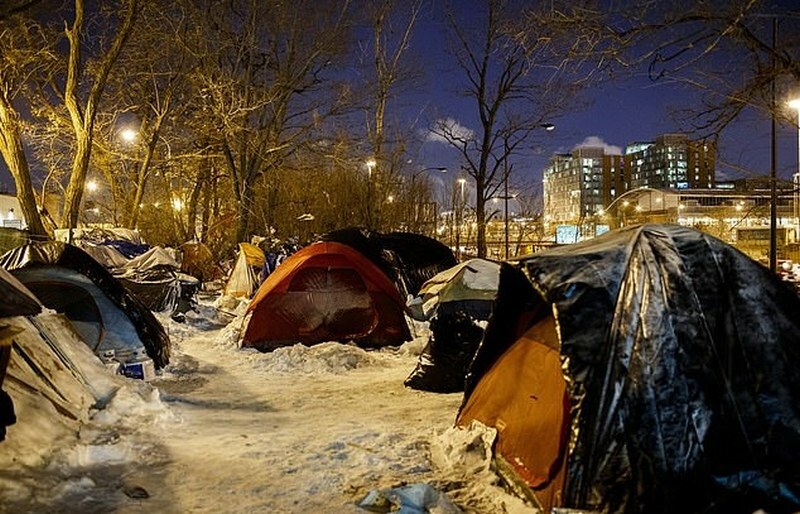 Though Chicago city officials have urged their homeless residents to stay in proper shelters and warming centers, a group of rough sleepers in the South Side chose to stay in their tented encampment. Firefighters were called to the campsite on Wednesday – the second coldest day in Chicago’s history – when a propane tank exploded. No one was injured, but law enforcement officials discovered over 100 propane tanks in the encampment— a Level 1 Hazmat risk. The responders were forced to confiscate the propane, which left the homeless citizens without heating in –20ºF (–22ºC) temperatures. City officials contacted staffers at the local Salvation Army warming center in order to accommodate the at-risk residents, but then a woman named Candice Payne stepped up, and took out her credit card. Shortly after reaching out to the Salvation Army, city workers notified the staffers that she had paid for a large block of hotel rooms to house 70 homeless people until the end of the week. Not only that, after she tweeted about it, and several other Good Samaritans stepped forward to donate more money for more rooms. Together, they were able to buy shelter for 80 people for 3 nights. Candice and her new crew also bought food to distribute to the rooms.